It’s strange to take myself back to where my Souls journey initially began. I’ve been back multiple times over the years of course, but my travels through Lordran have never been quite as intense or memorable as the first time. When I didn’t know where to go, didn’t know who was friend or foe, Lordran seemed insurmountable and terrifying. Of course, it’s been a long time since we came here for the first time, and these days there’s friendly familiarity to the place, like going back to your childhood home for the holidays. But nothing is more familiar than your bedroom, is it? Your single bed still neatly made, your toys still lining the shelves, like your parents have temporarily left a monument to your passing. Dark Souls Remastered is a bit like that, stepping back into a place which is overwhelmingly familiar, whilst also unspeakably different. You won’t be able to put your finger on it, but things have changed. Maybe the bedside table has been changed, or there’s a potted plant on the windowsill that wasn’t there before. That is, believe it or not, the aptest analogy I could think of to talk about Dark Souls Remastered. The fact is, if someone told me that the game was a direct port, with little to no attention paid to how the game operates behind the scenes, save for framerate, I would’ve believed it. When it comes to enhancements, they’re umm, disturbingly hard to spot. I don’t want to disparage the game in any way, but the game is pretty darn… The same. Which is part of the point, of course. 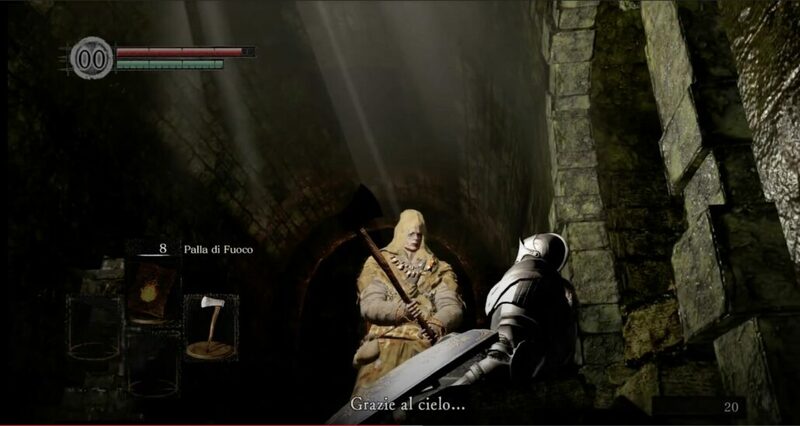 People returning to Dark Souls want to do it in the same way they did all those years ago, just with a clearer image and smooth performance. 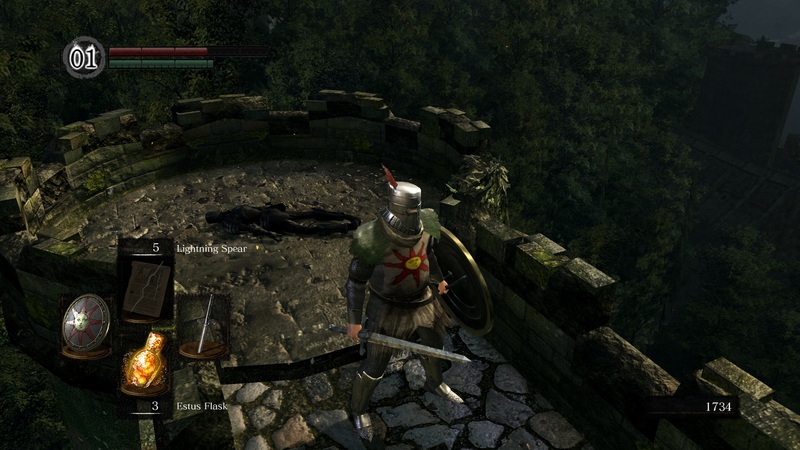 And Dark Souls Remastered absolutely ticks those boxes, with my adventures through areas such as Sen’s Fortress and Blightown looking absolutely smooth and simple to navigate – well, in comparison to how I did it years ago. The resolution looks incredibly crisp, and there are so many textures in the game that benefit from this massive bump to 1800p (on PS4 Pro), including the ground textures from your cell right at the beginning of the game. In-game cutscenes are also improved greatly thanks to this, too. But then you get to some of the other textures in the game, which suddenly make you wish more things were changed. My first steps into Darkroot Garden were blighted by trees. Not the sentient kind that attacks you, but instead, the static kind that decorates the garden. The lighting shift from Andre’s position into the garden suddenly highlighted that every single branch on every tree was a flat 2D texture, something I had definitely never noticed before. In fact, for a short period, I was convinced it was a pop-in problem, with textures not swapping in properly. So I left the area and re-entered. Several times. Restarted the game. They’re meant to be like that. They’re meant to look as bad as they do. In terms of graphics, the resolution highlights some of those incredible textures, and the framerate makes the entire experience smoother than ever. But then the resolution and framerate can both highlight how the game is aging. Looking into the background you can see how low poly some areas are, or how lighting grinds against the different background layers. Even closer up, many textures have aged badly. Blurry, undefined textures plague a number of areas, but again, it’s nothing intensely major. The framerate only highlights issues with certain character animations, such as leaping enemies looking a bit broken as they leap across a stage. Again though, it’s unusual, but nothing game breaking in the slightest. The fact is, the only new things you’ll find in Dark Souls Remastered are small improvements. The game entirely operates on its original engine and logic, so those backstabs, those awkward 8-way rolls when locked on, and those camera issues are all still present, for both better and worse. The rest of the game is much the same too. Remember how awkward it was to kill the Hydra, and there’s that annoying drop off which will kill you instantly? Yep. Dark Souls is still just as frustrating as ever. But after all of that moaning, it’s undebatable that Dark Souls Remastered is the definitive edition of one of the best games of all time. Sadly your second time through the game won’t feel quite as epic, and looping back round to Firelink Shrine after a long period away will feel routine instead of rewarding. But what if this is your first time playing Dark Souls? You are in for a treat. One key thing that Dark Souls has over its contemporaries and sequels is its world design, which feels rewarding just to explore. Walking around and investigating every corner of the world is a compulsive habit, exploring and searching for every item possible, checking for every NPC, just trying to complete the game feels more like an exercise in seeing everything, and not necessarily running about and stabbing things to death. 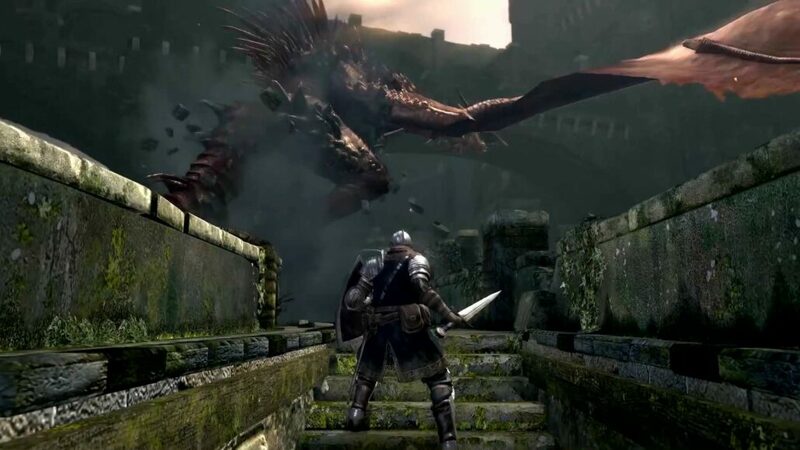 If you focus on adventure, exploration, and simply level up and upgrade your equipment to make that goal easier, then you’re sure to adore Dark Souls, in time. Even upon returning, even when I’d already played the game on PC with DSfix, I struggled to put the game down for more than a few minutes at a time. I’d get sent back to a bonfire, feel frustrated, quit the game, and then sulk for a few minutes before pushing towards Gwyn again. And if you push through yourself, you definitely won’t regret the adventure. Reviewed on PlayStation 4 Pro (code provided by the publisher). You can purchase the game via Amazon. Jumping into Dark Souls Remastered again isn't quite the same as your first time through but it's still a magical journey. And if you've never played Dark Souls before? This is is definitely the best way to experience the game that kickstarted a genre of its own. Dark Souls Remastered should be essential for action RPG fans and those wanting to put their skills to the test.